Really, How Much Does Decor Cost For A Mehendi, Sangeet And A Wedding? Whenever we see stunning weddings online (mostly on WMG!) we wonder what it must have cost to look like that. 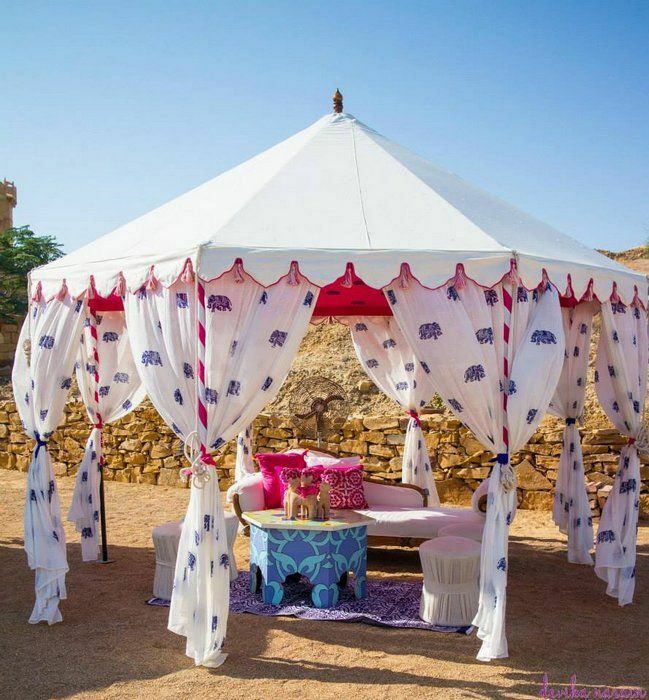 So we decided to ask the décor experts on approximately what goes inside making the décor for a mehendi, sangeet and wedding work. While these planners / decorators are mostly dealing in luxury - premium budgets, we also have for you modest budget options too. Take a look! It's important to first set the budget up. The three main events are Mehendi, Sangeet and the Wedding. A budget Mehendi is by far the cheapest because it usually happens at the bride's place or the terrace or a family-owned farmhouse. That means, venue costs = ZERO. Decor can be just a small DIY set-up by friends and family. Flower costs go anywhere between 10 K - 15 K depending on what you need. All in all, a mehendi decor can be either done by your family or friends, or you can hire a local tent person to give you the basics. This will cost you anywhere around Rs 50,000 if it's just close family and friends and at your home. The Sangeet is another smaller function - but if you're smart, this can also just stay at a modest pace thanks to you inviting just 100- 150 pple for this. The usual budget for decor and the extra frills will fall anywhere between Rs 1.2 - 2.5 Lakhs for an indoor function. Decor can be beautiful - just a few lights, an interesting array of chandeliers. Watch out though for the stage and photo-booth or backdrop costs. 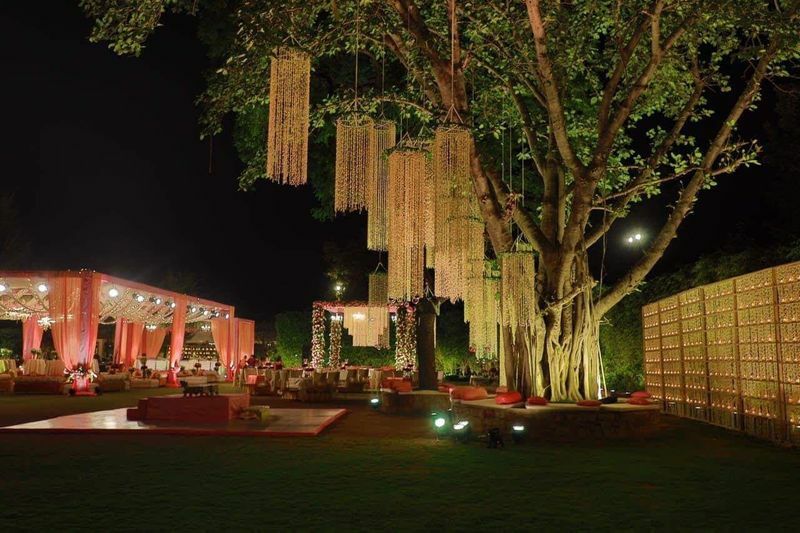 Also if you are having an outdoor sangeet, you can double that estimate. For the wedding , there is typically more flowers needed and hence the costs go up. 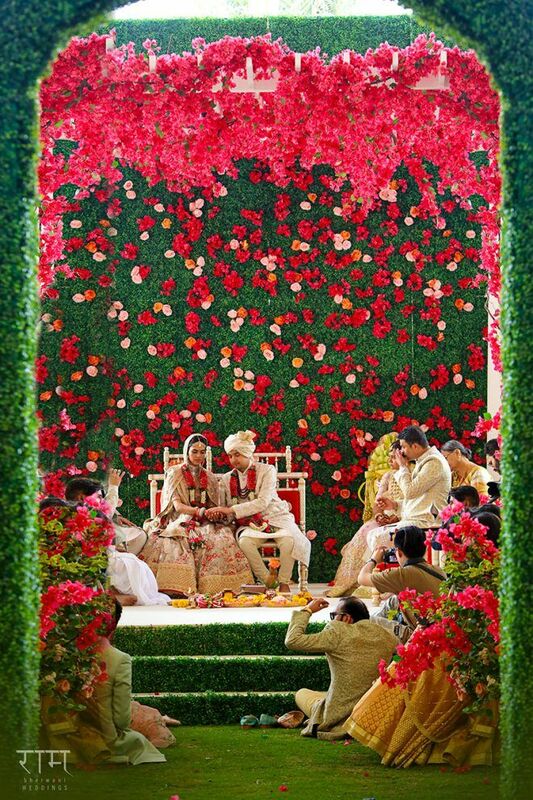 On an average an indoor wedding would be between Rs 1.5 - 4 Lakhs for an indoor function, give or take a few lakhs here and there. An outdoor wedding would start at 3 lakhs . And how you curb extra costs - larger-than-life floral and decor ideas ( In short, don't do everything Pinterest asks you to!). “I don’t know about others, but a Mehendi is my favourite function in a wedding. Filled with colour and infinite possibilities of doing something fun! Oddly, we spend the maximum time designing and planning a mehendi- it is one function focussed around what the bride wants and how it can be made more exciting for guests. Designing a budget for a mehendi is also about priorities and I recommend you make a list of them before you go any further. On a modest budget, I’d recommend focussing on key spaces- the bridal backdrop which is where all the photos are taken and a fun entrance to set the mood for the party. Keep the ambience relaxed with assorted low seating and plan for easy to eat food. 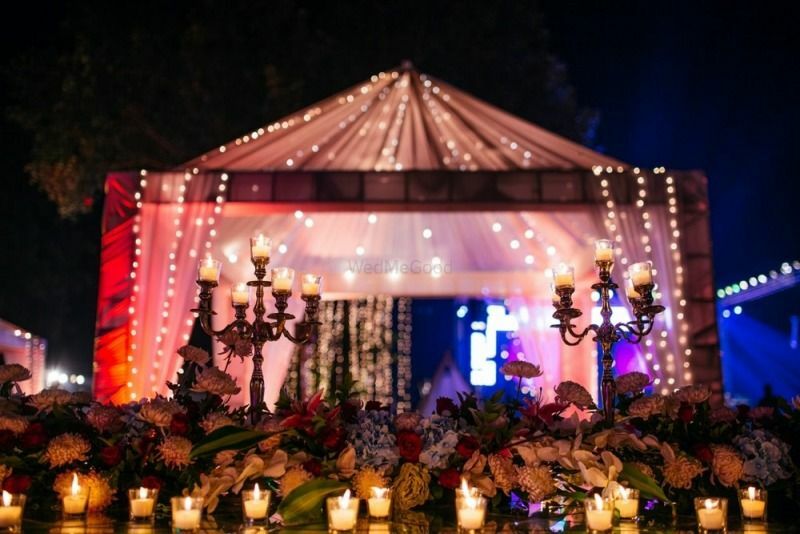 “At a typical Delhi Winter Farm House wedding, we like to create a marquee for the seating with dining and lounge setting, a beautiful floral mandap, a well-lit and decorated bar, a covered buffet setup and a reception stage to suit the personality of the couple. Usually we like to discuss with the couple what colours and themes they have in their mind and what they associate to, and keep it to their likings instead of pushing our own, we love to create a fairy tale wedding, but the tale is all about our couple. Hence you would find a wide variety in our decor, and diversity in our themes and treatments. 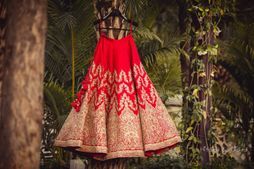 Sabyasachi Lehenga Price : So, How Much Does a Sabya Lehenga Really Cost?